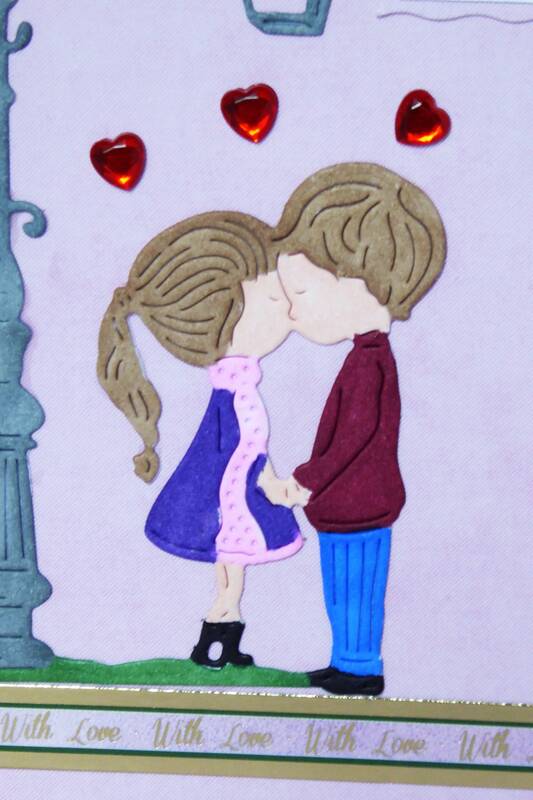 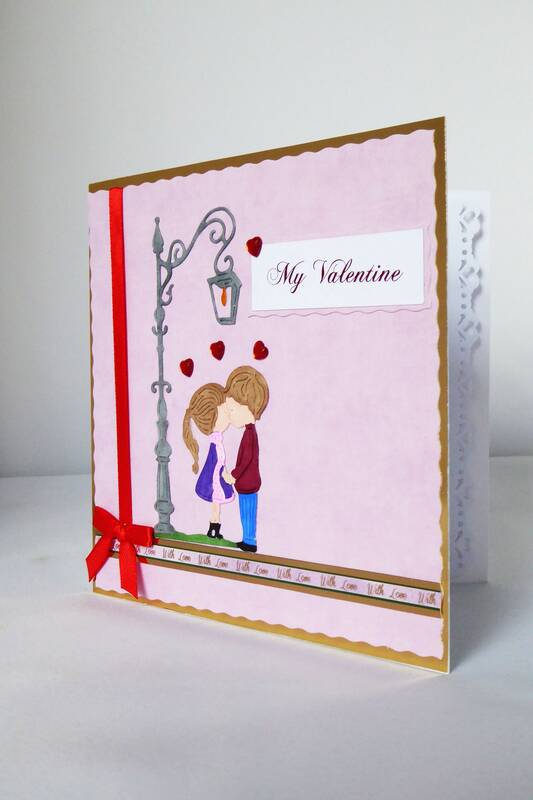 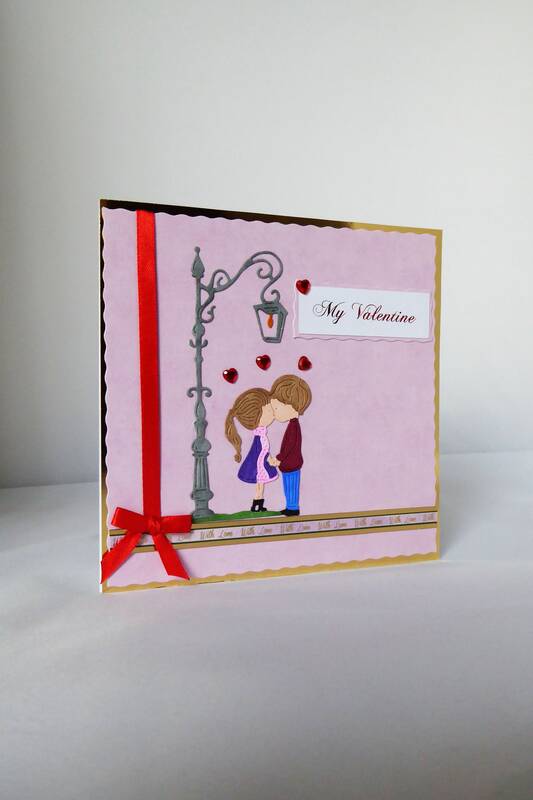 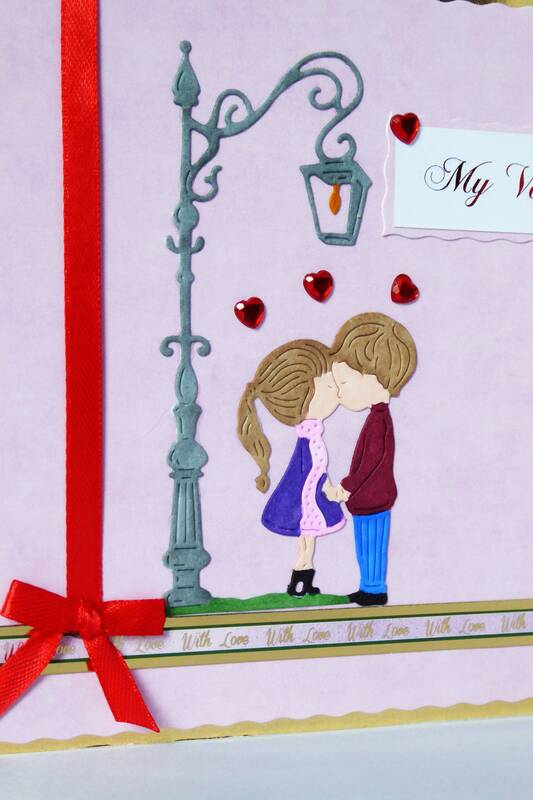 A sweet Valentine card of a couple kissing under a street lamp. 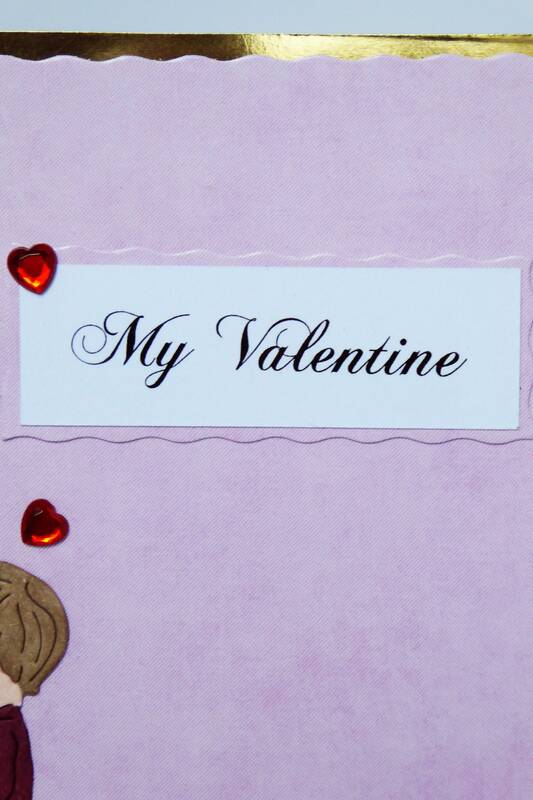 Sentiment which says, ' My Valentine'. 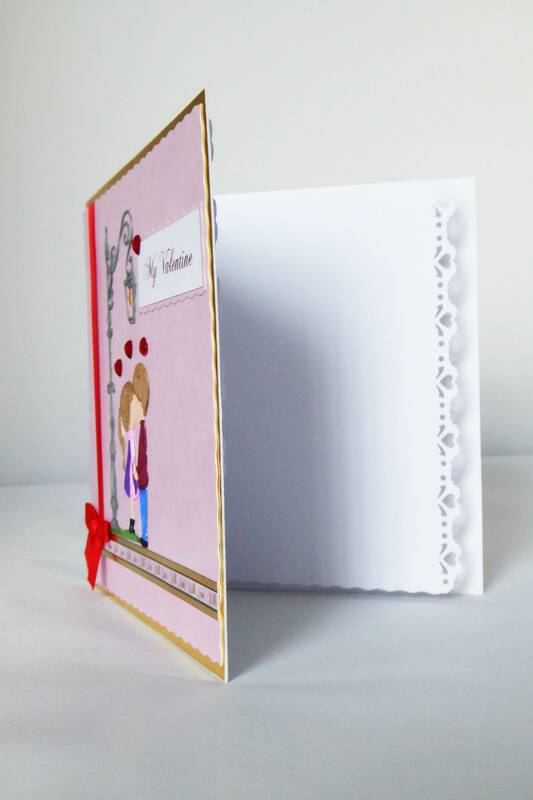 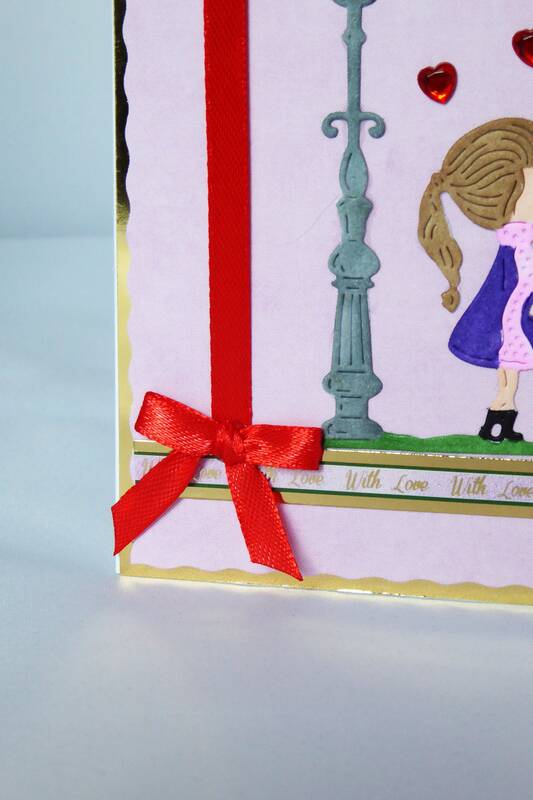 Inside the card is white insert paper with heart die cut edge.